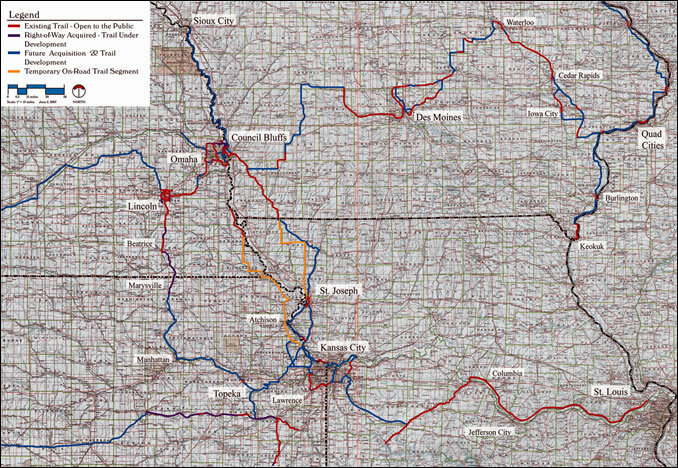 Ross Greathouse has long been advocating a "quad-state trail" to link St. Louis to Kansas City, Omaha, and Lincoln. The "Complete Katy Trail" linking Kansas City to St. Louis is just the first step in the Quad-State concept. There is an exciting possibility to use trails to link parks, cultural sites and communities by implementing The Quad State Trail Project. This regional trail system will include over 700 miles of trails, 450 miles of which already exist. A portion of the Quad State Trail follows the Katy Trail from St. Louis through Jefferson City and Columbia to Windsor, Missouri. A new trail on the old Rock Island line will extend northwest to connect to the Kansas City Metro Green Trail System. 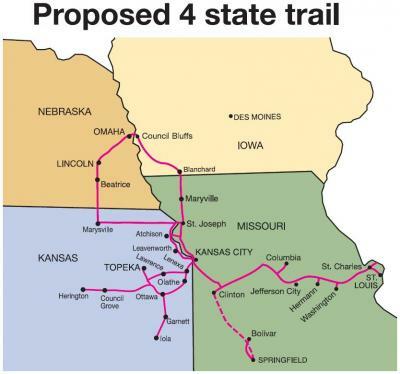 Using the Metro Green Trail System and new Missouri River bridges, the Quad State will proceed to Parkville, Missouri where it will tie to the old Chicago & Northwestern/Atchison, Topeka & Santa Fe rail bed to St. Josephâ€™s existing Parkway Trail System. There is also a route on the Kansas side to Atchison and then on to St. Joseph. The Quad State Trail will continue north on the old Chicago & Northwestern to Marysville, Missouri and then on to Blanchard, Iowa where it will begin to follow the 67 mile Wabash Trace Trail to Council Bluffs, Iowa. From there it will cross the new Missouri River Pedestrian Bridge to Omaha. Advancing through Omaha on the existing Metro Trail System to the MoPAC Trail which crosses the Lied Platte River Bridge, the Quad State reaches Lincoln. 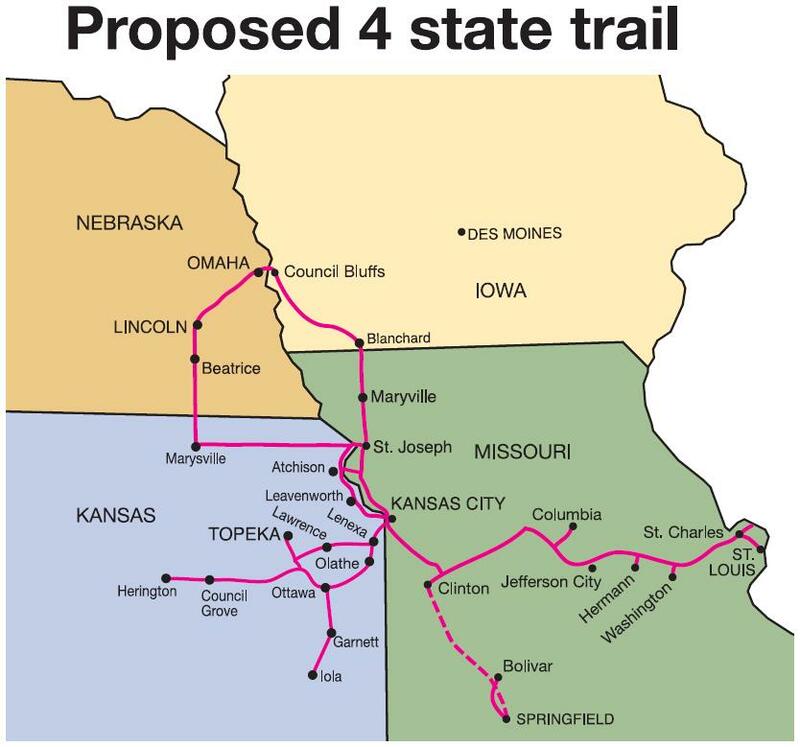 It will then travel on part of an 85 mile trail system through Lincoln to the Homestead Trail reaching Beatrice, Nebraska and Marysville, Kansas, 67 miles to the south. A future connection could be made to St. Joseph which would create a loop. In 2007 the Prairie Fire newspaper carried a long article with many details about the proposed Quad-States Trail and its many benefits. 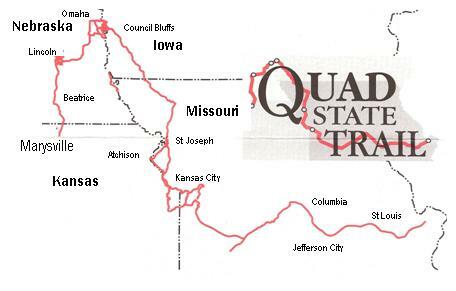 The Quad State Trail map shown above is the current version of the map, which is continuously updated over the years. 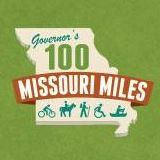 Creating a world-class bicycle, pedestrian, and trails transportation network across Missouri is one of the four major goals of MoBikeFed's Vision for Bicycling and Walking in Missouri. Creating, promoting, and encouraging the implementation of the statewide trails vision is a vitally important part of that plan. "Proposed 4 state trail" Map a courtesy of Laurie Chipman. » Next story: MoBikeFed membership and fund raising goals--we are SO CLOSE to reaching them!